With all the stress of work and careers, we often neglect our health as we get older. But it’s time to get back in shape. Time to feel healthy again. The truth is, feeling good about your health can have a big impact on your confidence and how you come across. If you’re feeling good about yourself then chances are, this new-found confidence will help in all areas of your life, including your career. 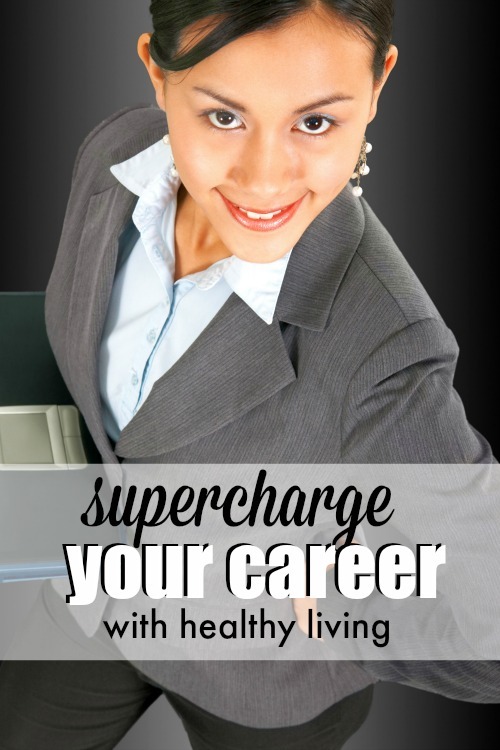 There’s no reason you can’t get enough exercise whilst focusing on your career. Regardless of working hard and putting in lots of hours, you should be able to find time to eat healthy and exercise enough. After a long day in the office it can seem like the last thing you want to do but once you get in a routine it can provide you with extra energy and a feeling of satisfaction and pride. Have you ever gone to the gym and after a few exercises just started to feel lightheaded and nauseous? Usually it’s someone who hasn’t been to the gym in a while, and is working with a personal trainer. They are motivated, but just got off work and didn’t have much time to eat anything. So they push themselves harder than they can, and run out of gas. Pushing yourself in the gym is great but only goes so far – your diet must provide you with enough energy. But how can we make sure we eat quality foods ahead of working out so we have both enough energy to exercise as well as maximize the benefits of our hard work in the gym? Time is usually the big factor. There simply aren’t enough hours in the day. There are two simple ways to overcome this. Firstly get your diet in order. Choose healthy snacks that will provide you with enough energy while not taking forever to make. The second factor is fitting a workout within your busy schedule. Whole grains are perfect for assisting with exercise. While there is a modern day fear of carbs due to many fad diets, carbohydrates are the primary source of energy for most of the body’s functions. Carbohydrates provide glycogen, a key source of energy during activity. Glycogen is used for short intense exercise and is fast-acting. Without sufficient carbohydrates, you run out of glucose and glycogen stores and end up “hitting the wall.” We also want to avoid refined carbs. Refined carbs like white breads and sweets can increase the risk of disease, diabetes, and a whole slew of other issues. Bananas are my personal favourite. If you’re looking for a healthy, cheap, tasty pre-workout treat that will give you loads of energy while also providing fibre, potassium, and vitamins – bananas are the way to go. One of my favourite attributes of bananas is that they are very easy to blend into a smoothie. A simple orange juice plus banana smoothie tastes great and only takes seconds to make. Going into your workout without proper hydration is going to lead to dehydration early in your exercise routine. As soon as you start moving, your body is going to try to cool itself through sweating. If you start feeling dizzy or light headed, stop and hydrate. Hydration isn’t just something to consider during your workouts, it’s something to be aware of through the day. If you’re bored of water, try coconut water – it is the perfect hydrating drink. It’s full of electrolytes including sodium, potassium, and magnesium. But unlike sports drinks that contain electrolytes, it doesn’t come packed with sugar. Try short workouts before you start your day. This is a great way to begin a day and means you don’t have to drag yourself to the gym after a long day in the office. If you can potentially fit in a workout during your lunch break this is an ideal option. You’ll find it breaks up the day nicely and you’ll actually have more energy during the afternoon to finish off those reports! If going to the gym is altogether too time consuming, then think about getting yourself some good exercise equipment. This means you have all the equipment necessary at home so can pick when you workout. The main issue with staying fit as we get older is finding the time to fit it in. As you can see, it is possible, you simply need to make the time. Healthy lifestyle is what I am aiming for especially next year. I will try to maintain a healthy lifestyle by balancing my diet and exercising more. I always create a plan which enables me to find time to exercise and to eat a healthy food. It’s really a matter of choice whether or not I want to have a healthy lifestyle. Bananas are also a great source of hydration. They have more water in them than an apple. I’m currently sick — and yay, it’s settled into my chest — so I haven’t worked out in about 10 days. It’s driving me crazy. Not because I enjoy working out, but I enjoy *having* worked out. It gives me more energy and a sense of accomplishment. Healthy lifestyle is really in in our area and I am thankful that it is because I get motivated and join the bandwagon. And, exercise and healthy food are equal to having a quality health. It makes sense to stay healthy because what’s the alternative unhealthiness that leads to nowhere good. I try to stick to 3 workouts per week, and its a routine I try to keep no matter the circumstance. I want to be that 60 year old model in the Macy’s catalog. LOL. Good luck and nice post. I actually do exercise in the evening daily like for an hour to relieve the stress and to have a good sleep later. Having a healthy lifestyle is possible when you decide and plan on it. And, I feel like I have more energy and positive than ever before. Jamie recently posted…Testing the world of online freelancing – Is it worth the effort? I really need to schedule in regular exercise like I do the rest of my day. Since I started freelancing, I thought I would have more spare time and it’s totally opposite of how I thought it would be. I find when I exercise I feel better and have a good grip on things and feel more relaxed. Thanks for this smart reminder! I still find time to exercise because eating healthy food is not enough to have a healthy lifestyle, Anne. Thus, there is really time for exercise or being healthy as long as we are willing to find and to do it. Jayson @ Monster Piggy Bank recently posted…Testing the world of online freelancing – Is it worth the effort? I agree that living a healthy life can really enhance your life. At the end of the day if your health is a hot mess, you are not at your best to be the best you. Due to my work schedule I have to find time to workout, but when I am on a regular regime….I feel like super woman.